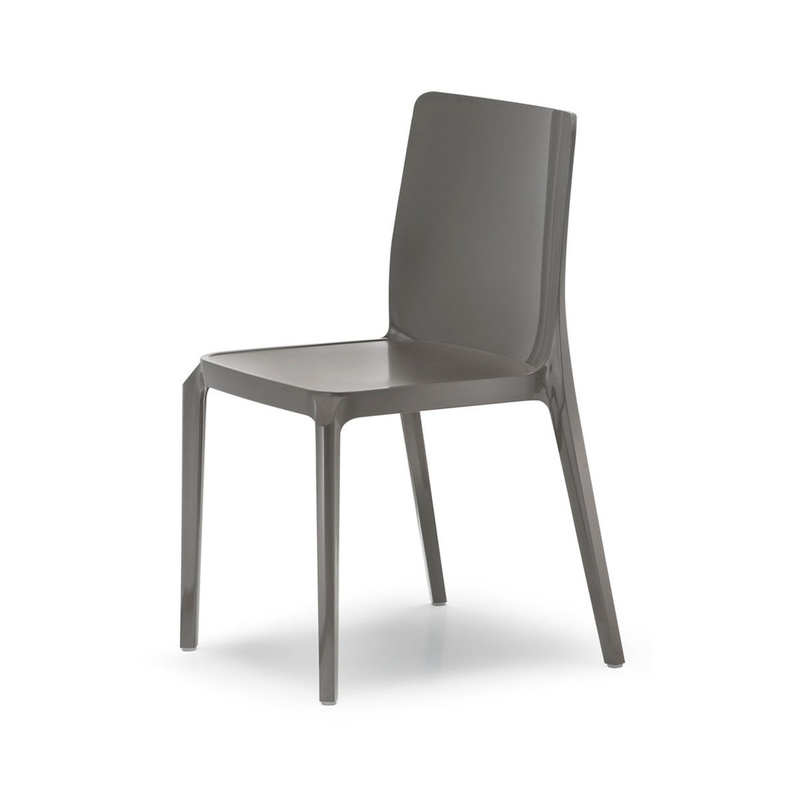 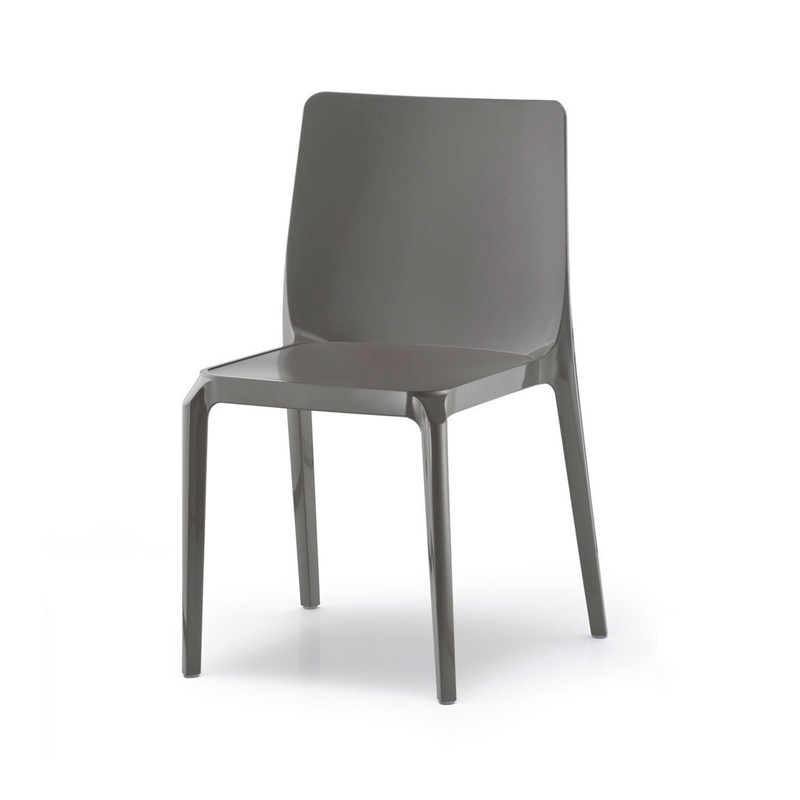 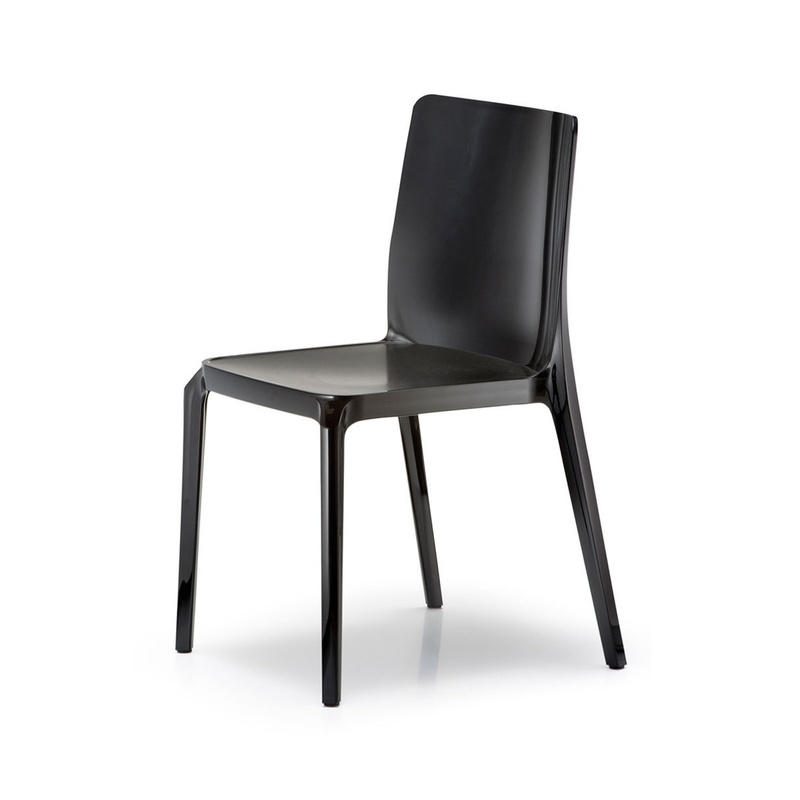 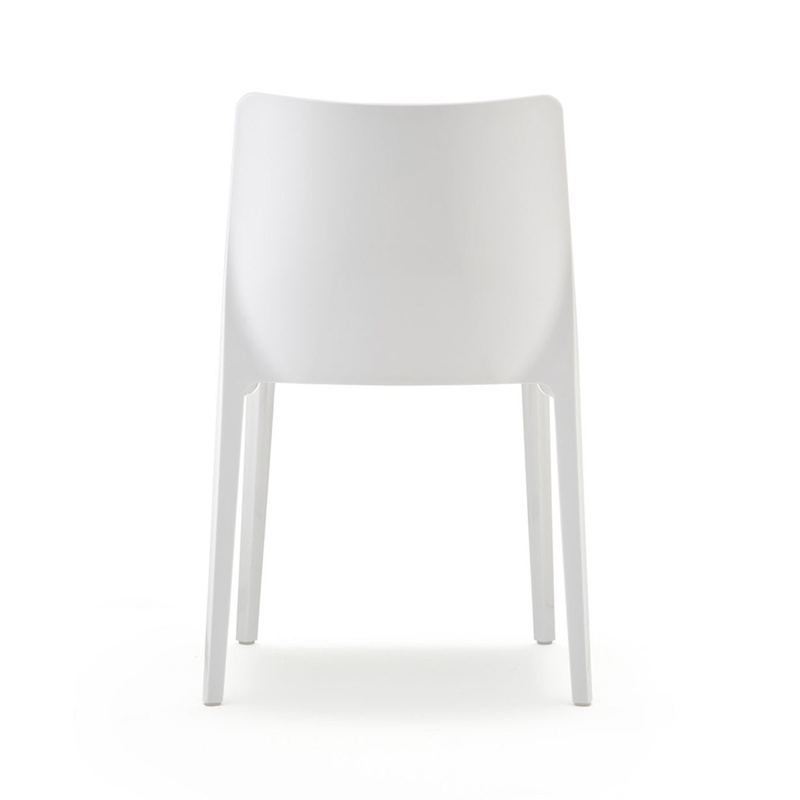 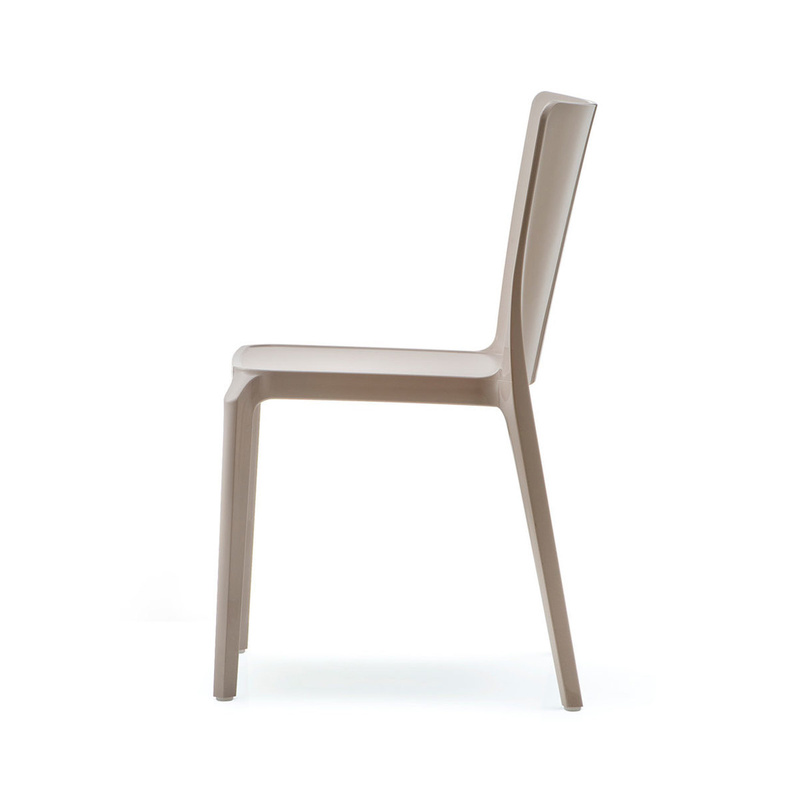 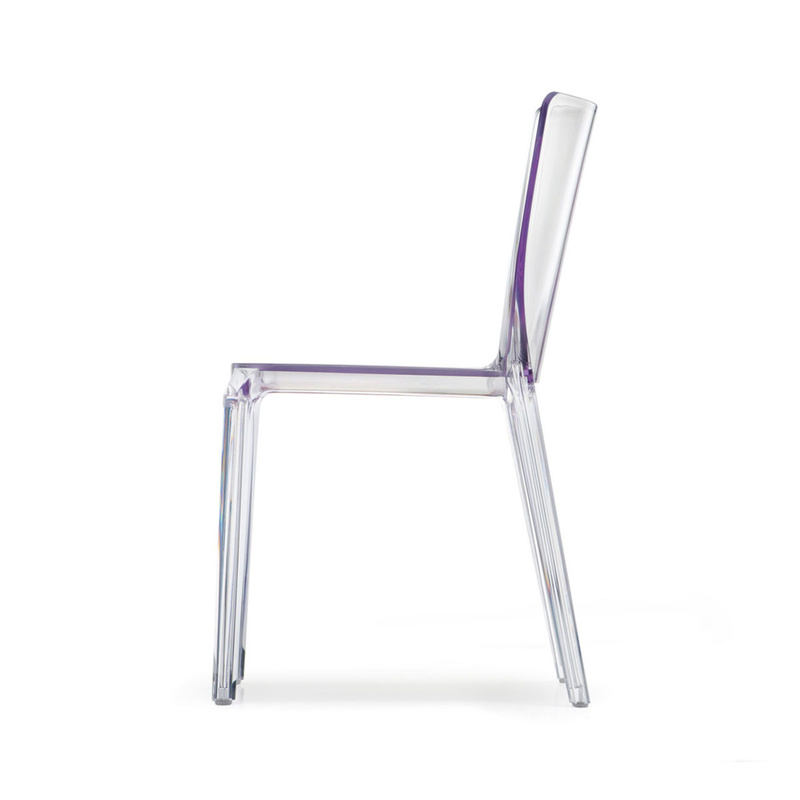 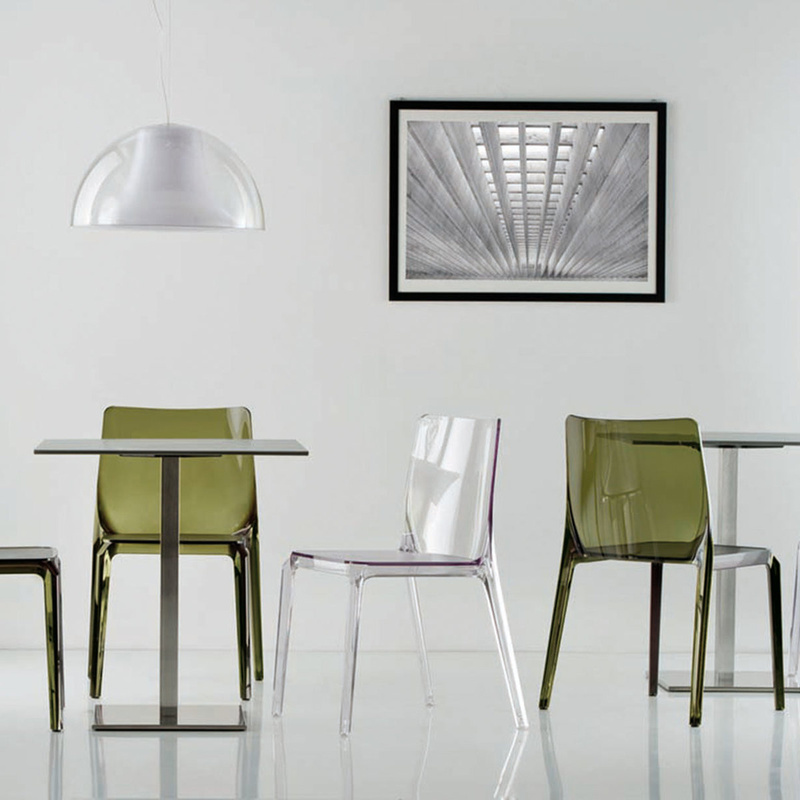 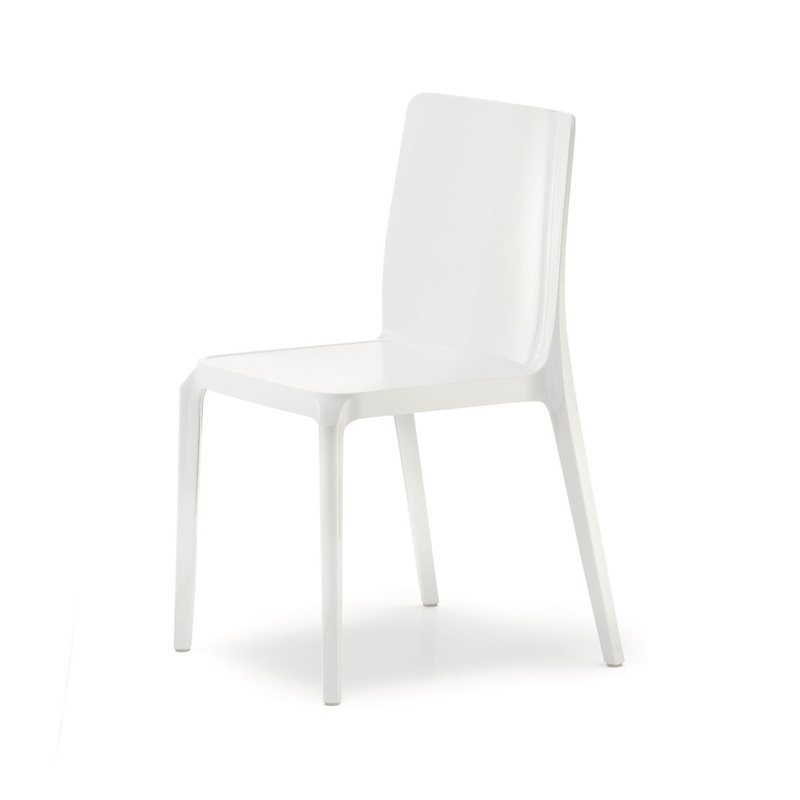 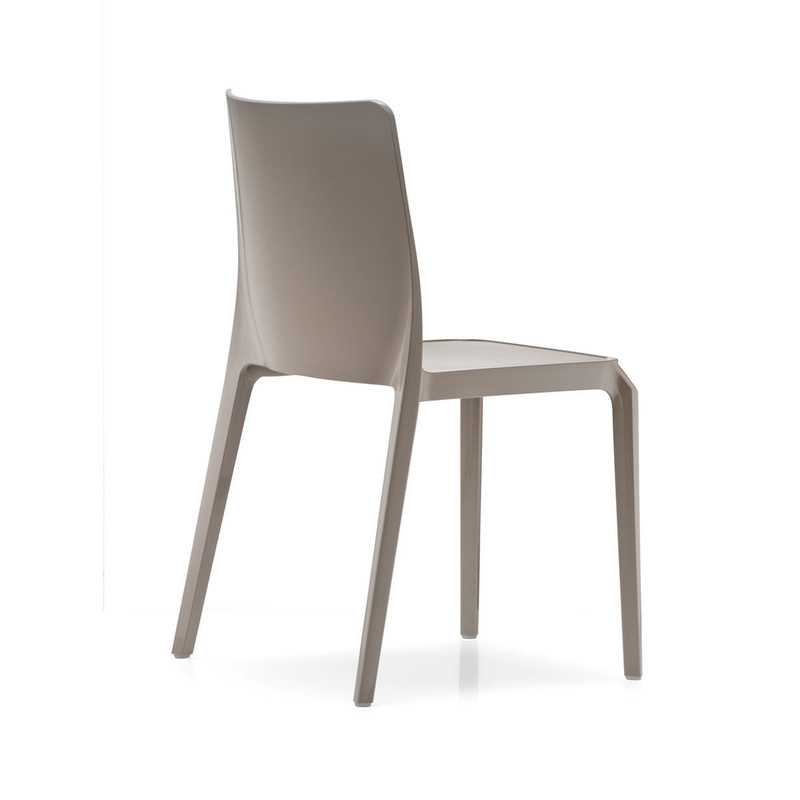 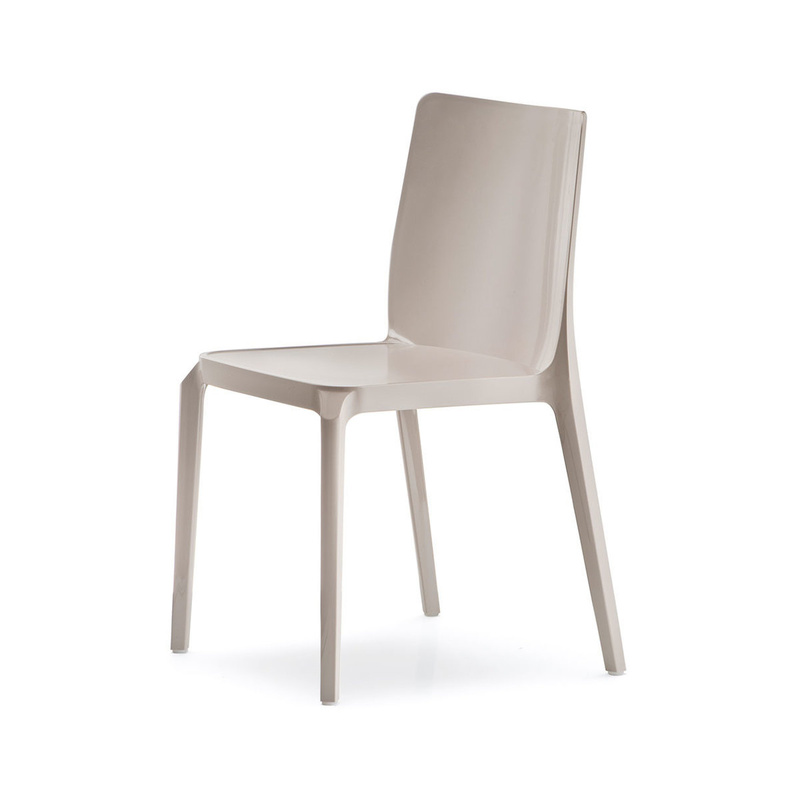 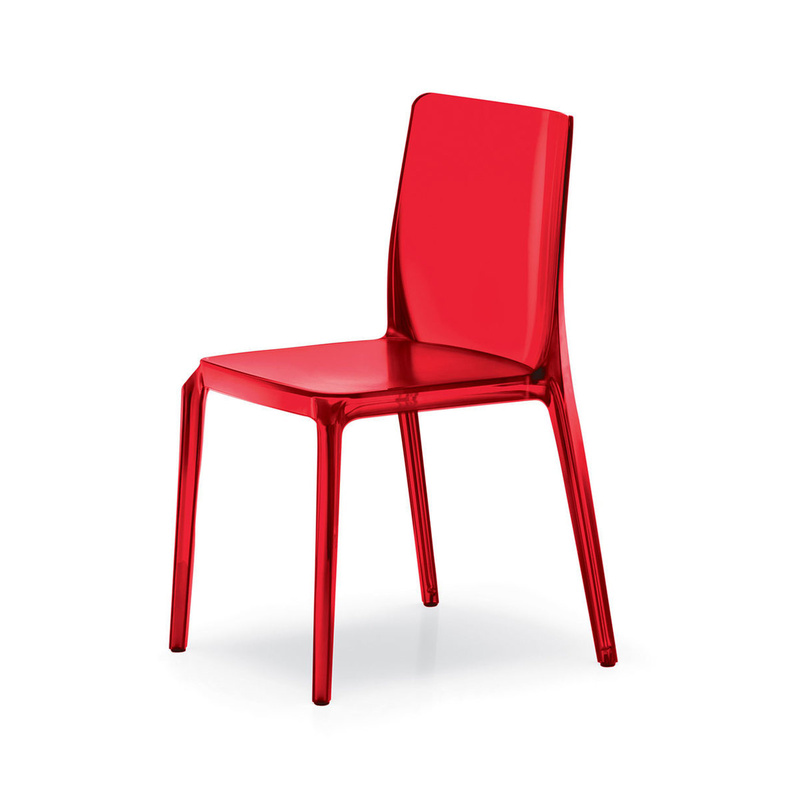 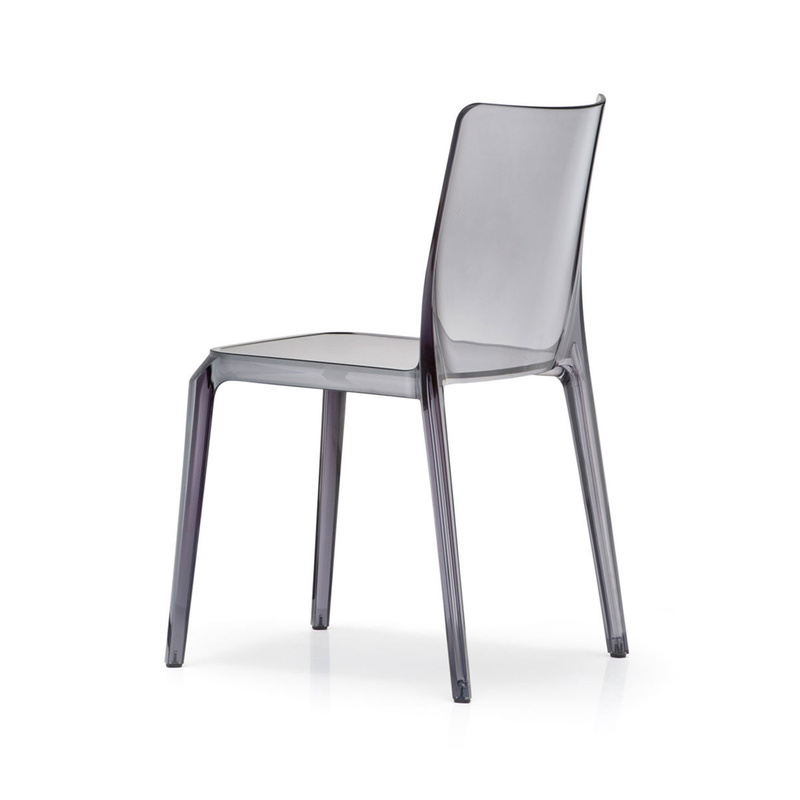 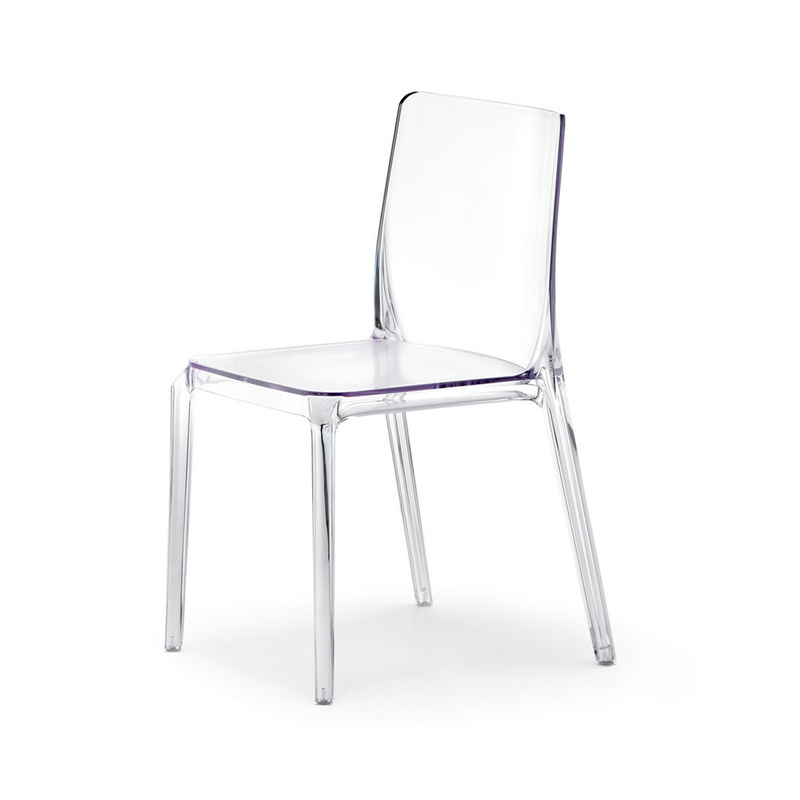 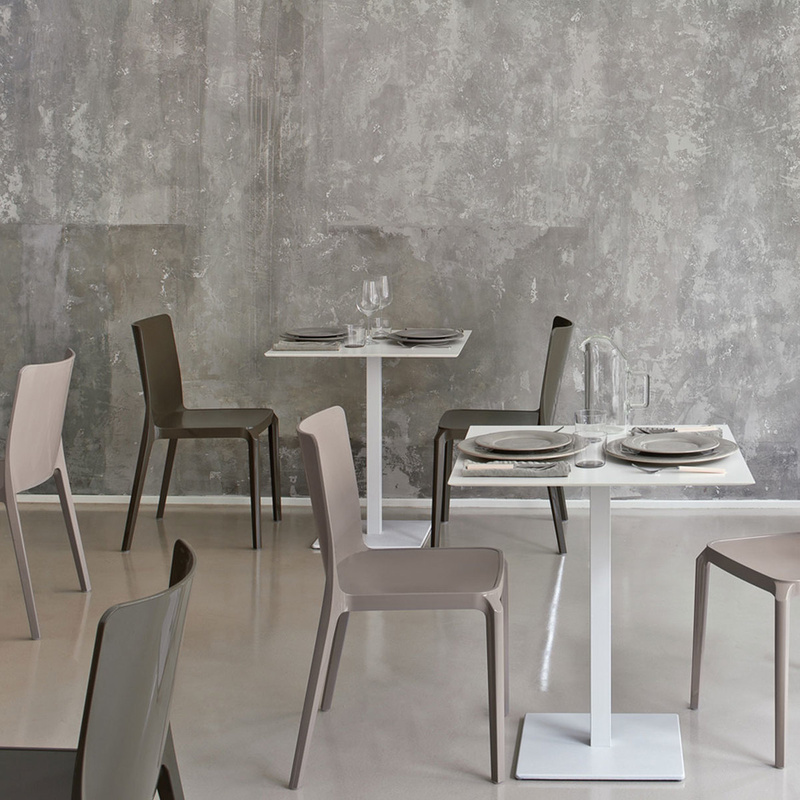 A polycarbonate chair with a strong personality in various colours. 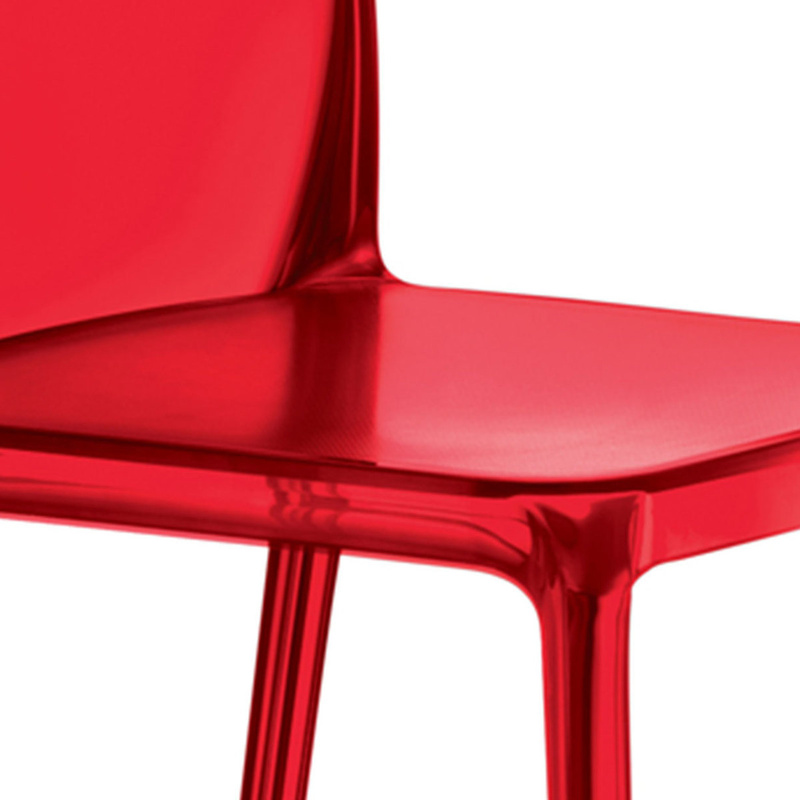 The seat has a slightly rough finish. 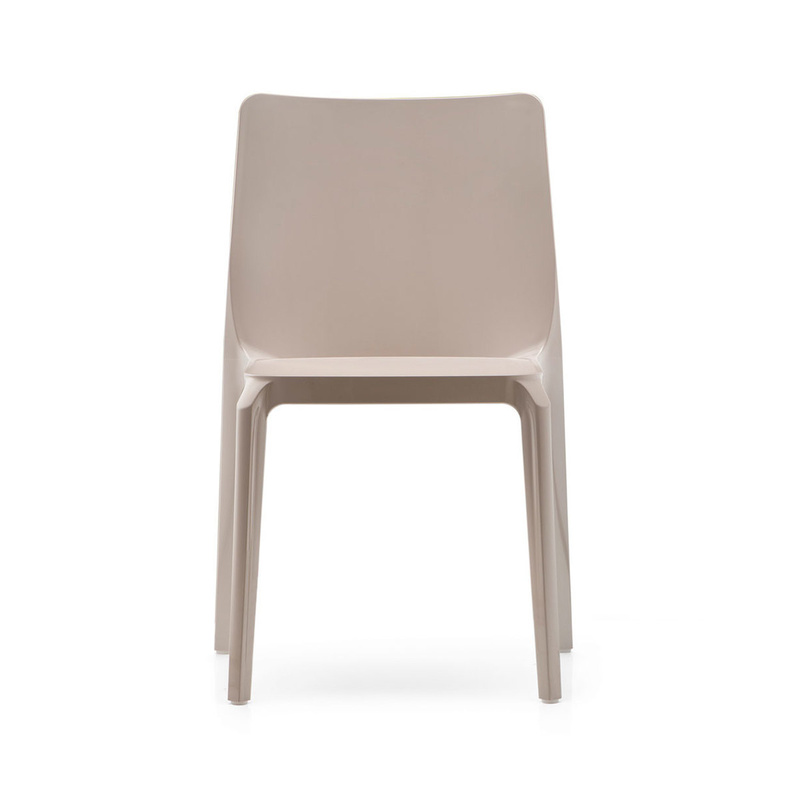 It is stackable. 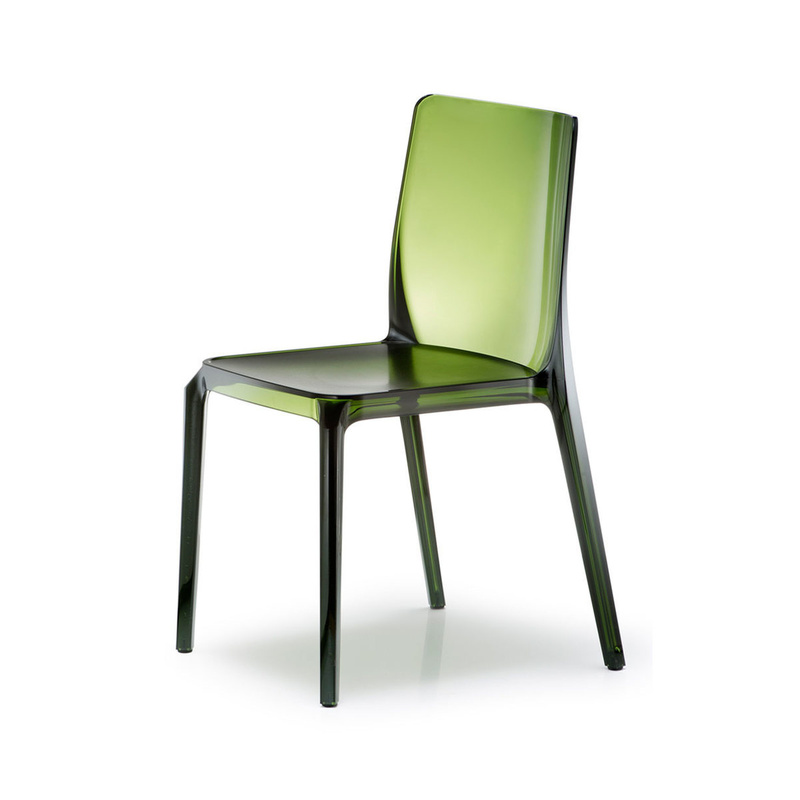 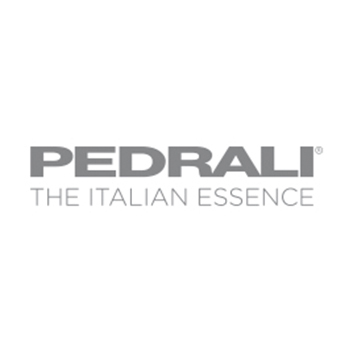 Its reassuring shape and the essential structure make it easy to fit into any environment, where it will not go unnoticed.